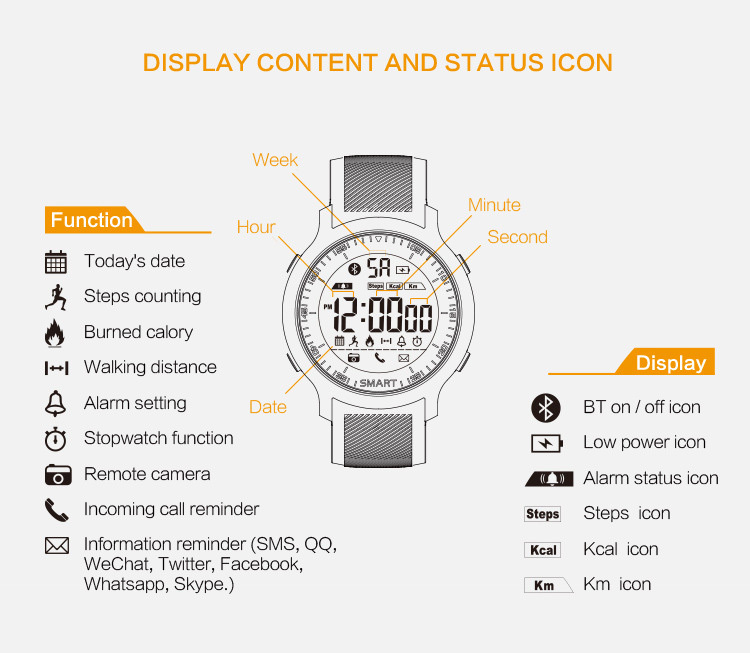 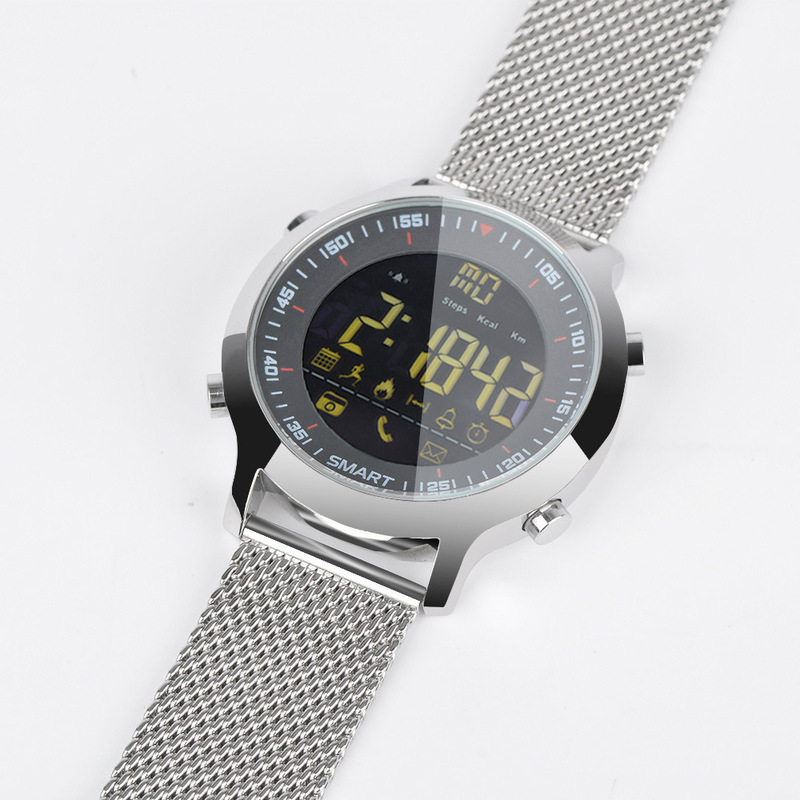 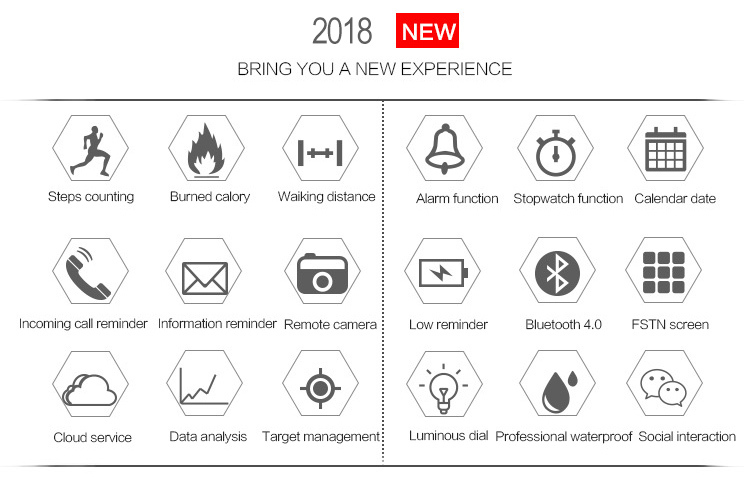 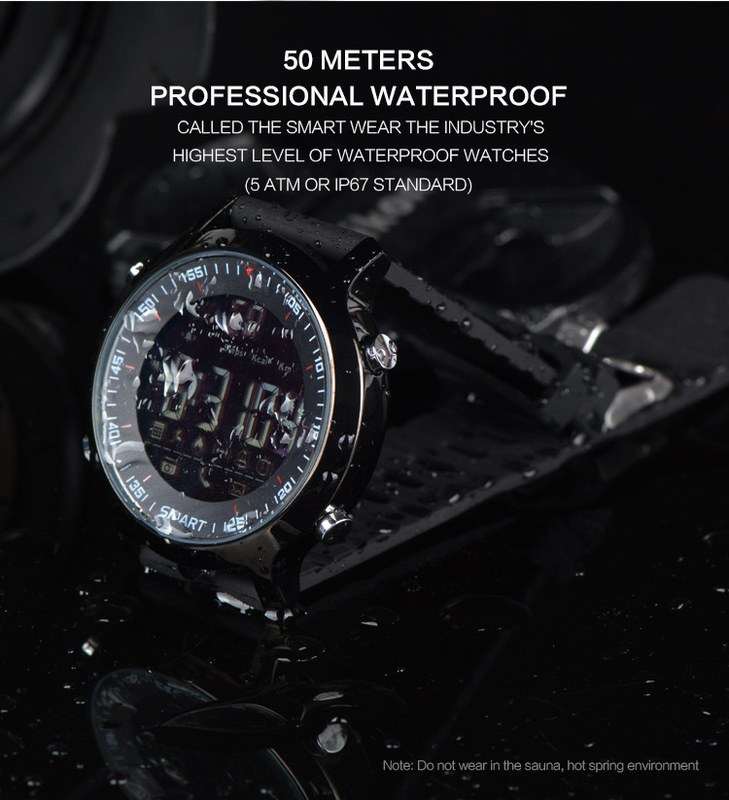 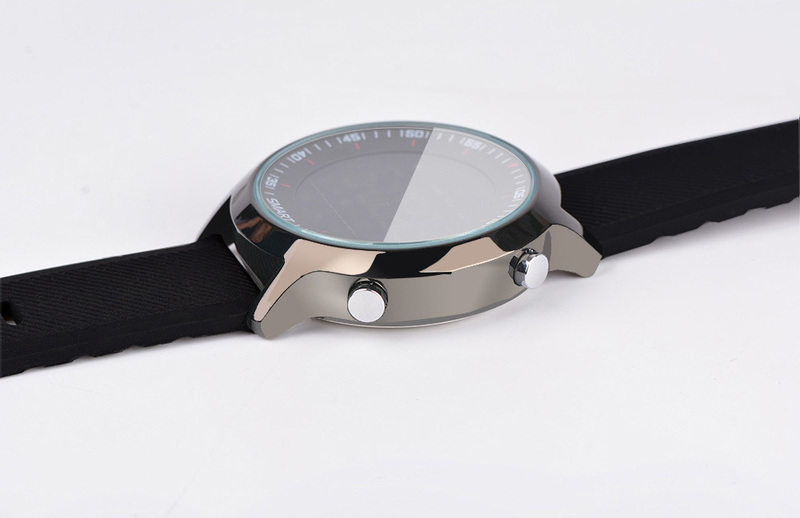 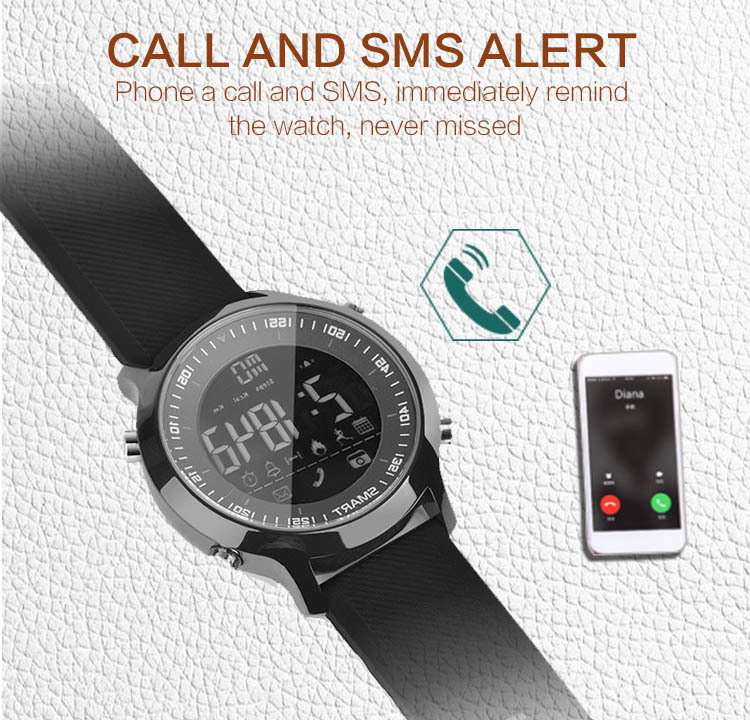 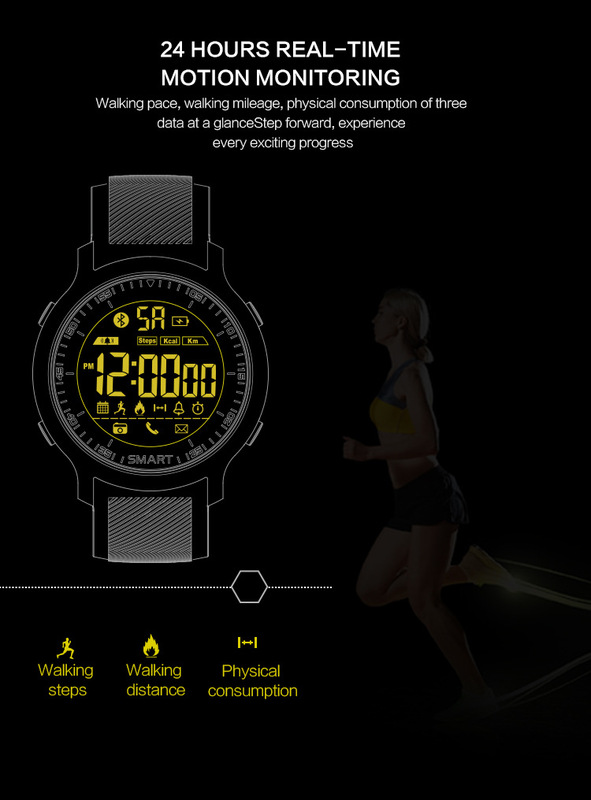 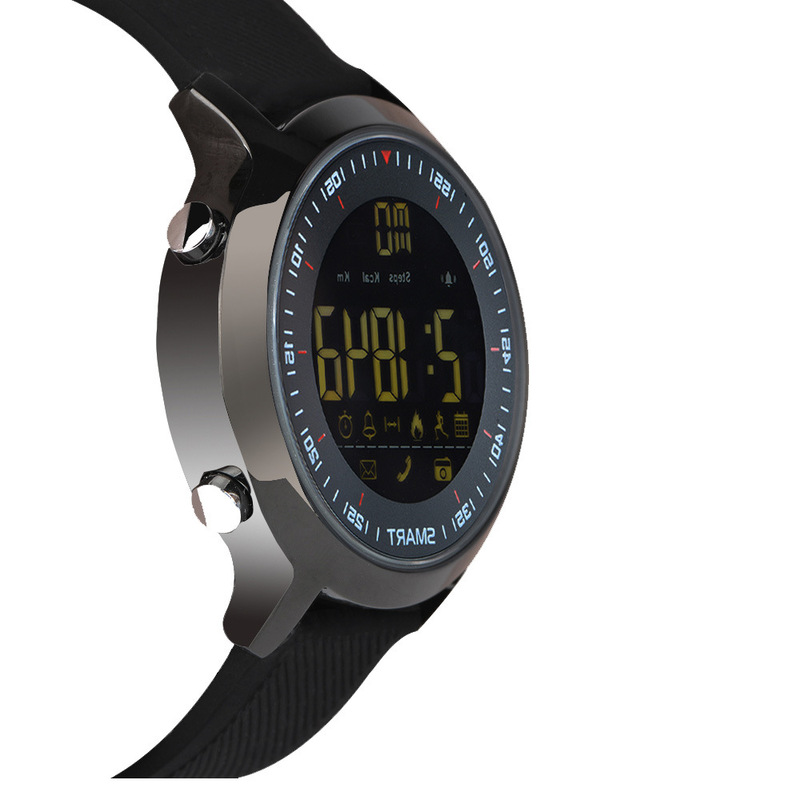 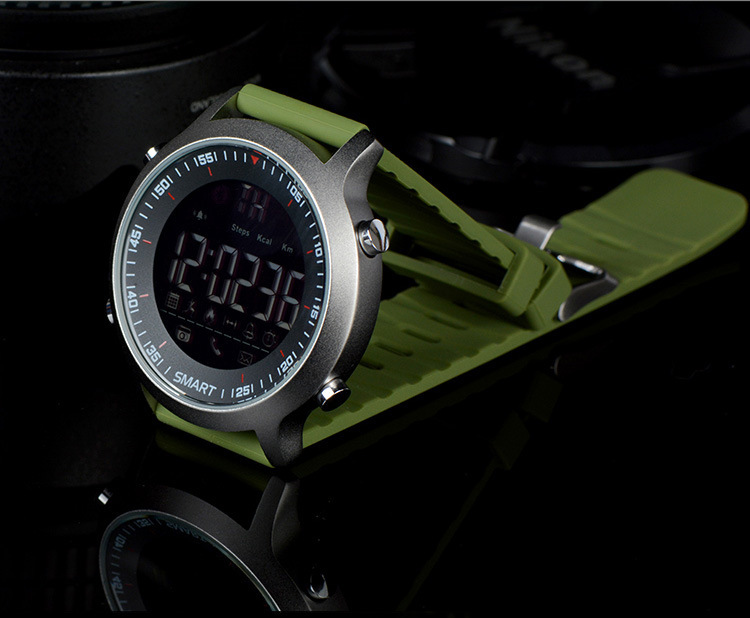 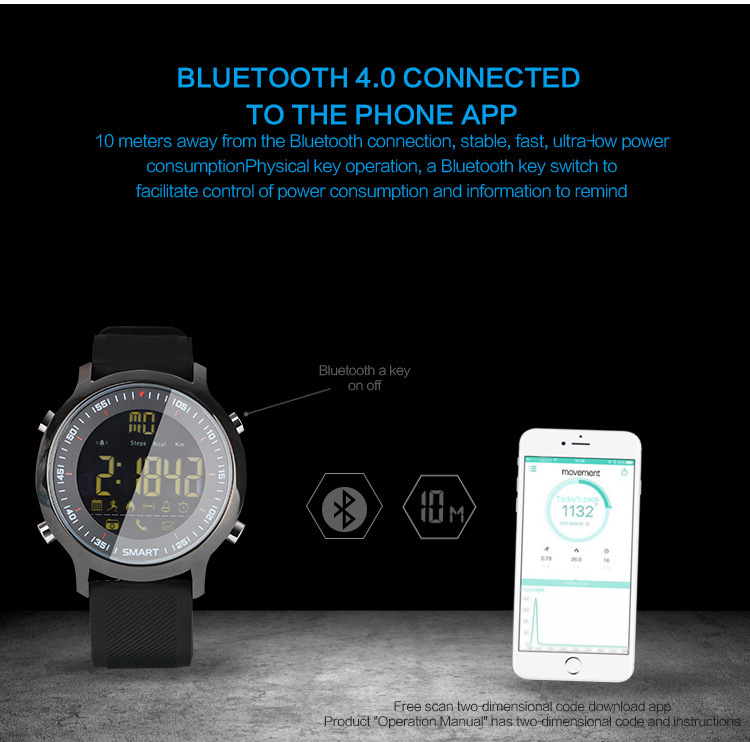 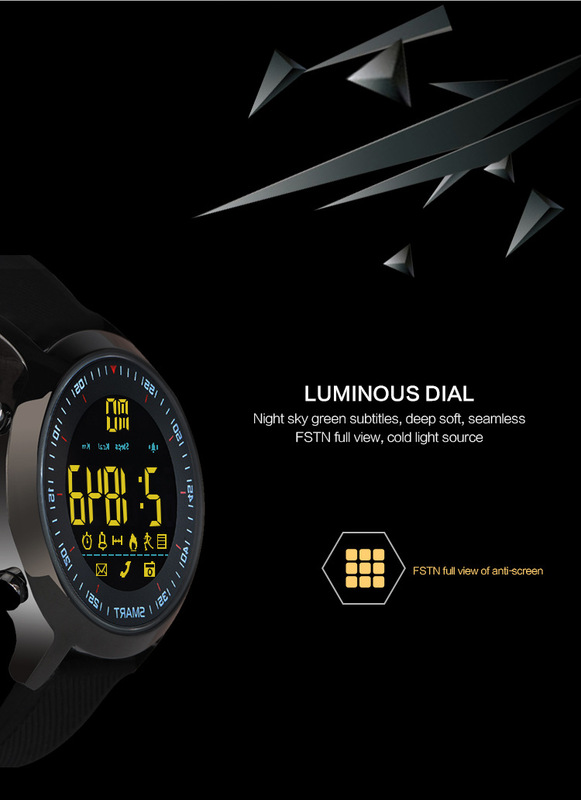 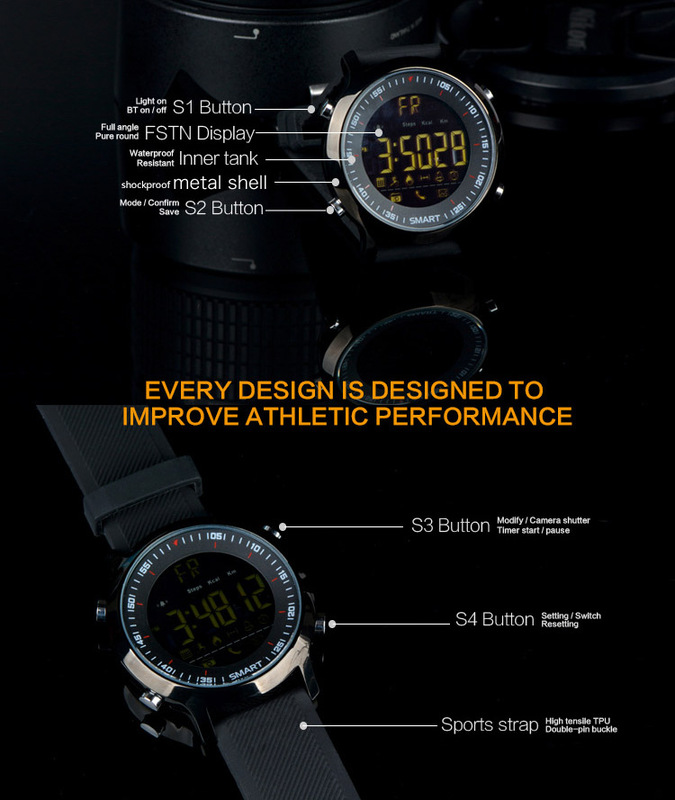 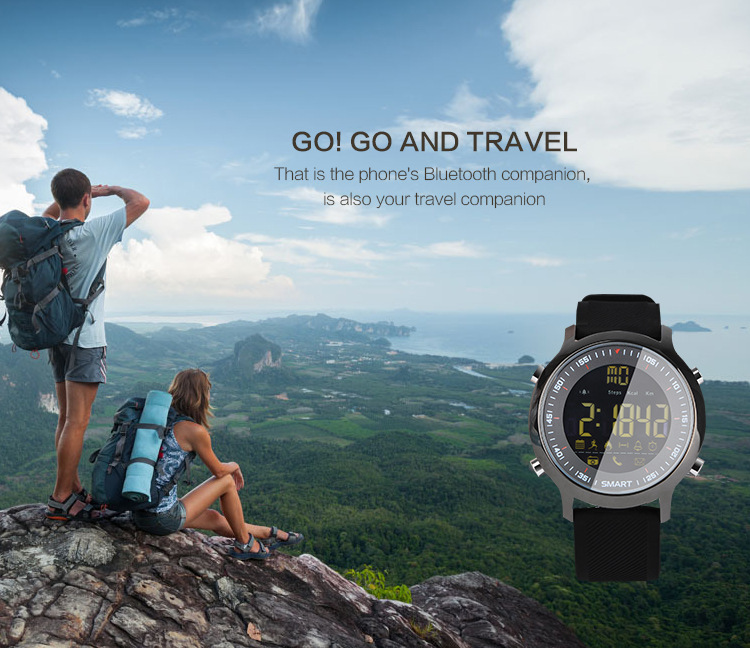 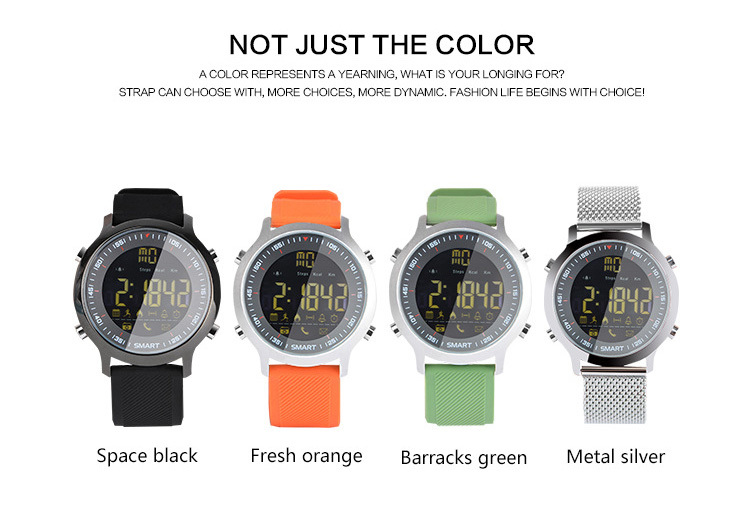 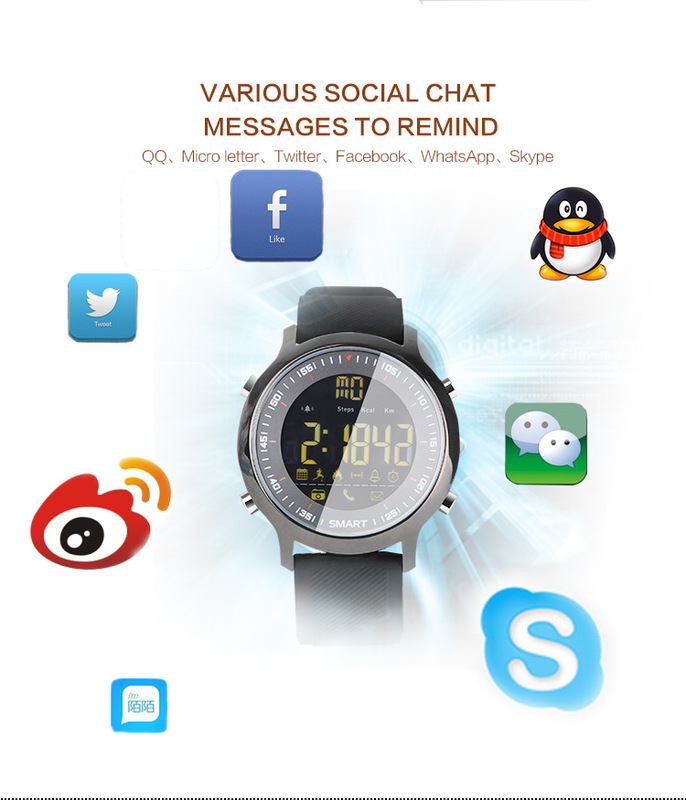 Luminous Dial; IP67,50 meters professional waterproof; BLE4.0, Call and SMS alert and Various social chat message to remind: QQ, Micro letter, Twitter, Facebook, Whatsapp, Skype; 24 hours real-time Sporting Activities Tracker: Walking pace, walking mileage, physical consumption of three data at a plancestep forward. 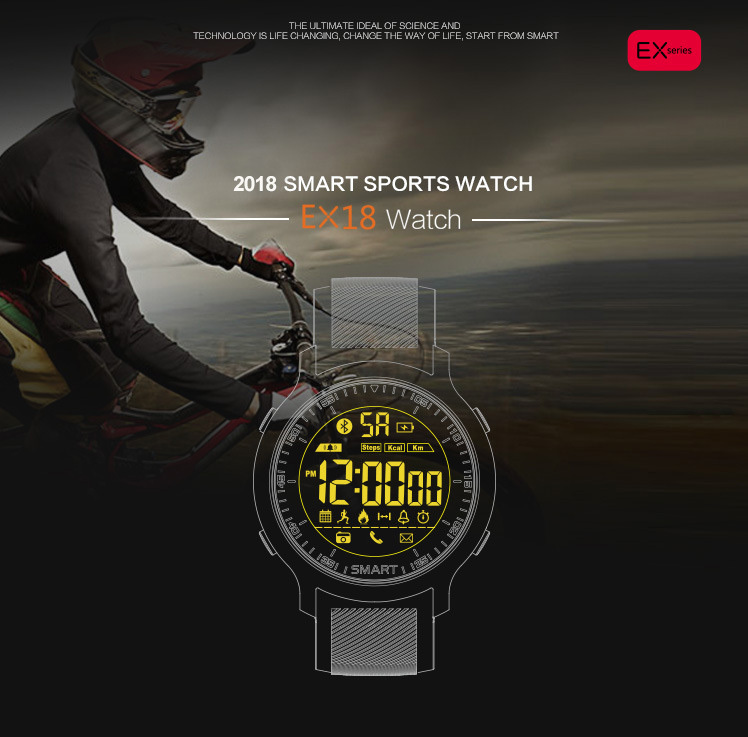 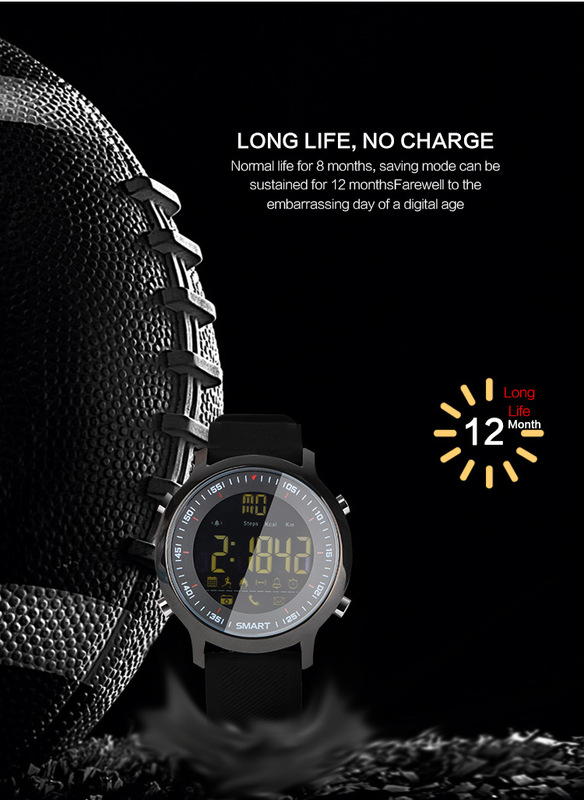 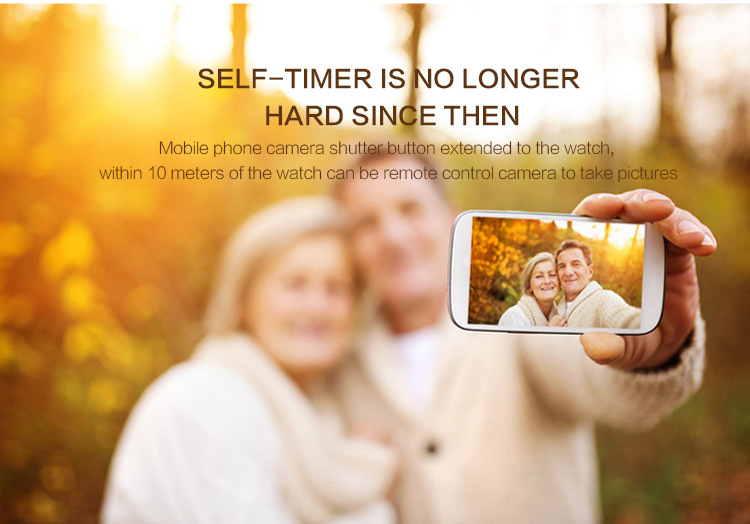 Long life power, no charge: Normal life for 8 months, saving mode can be sustained for 12 months; APP sports data: Motion data automatically uploaded, permanently saved, at any time to view or statistics. 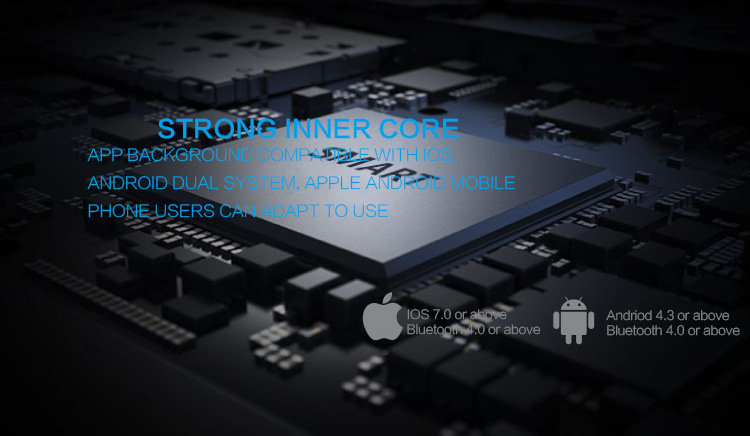 Compatible with Android and Apple IOS system. 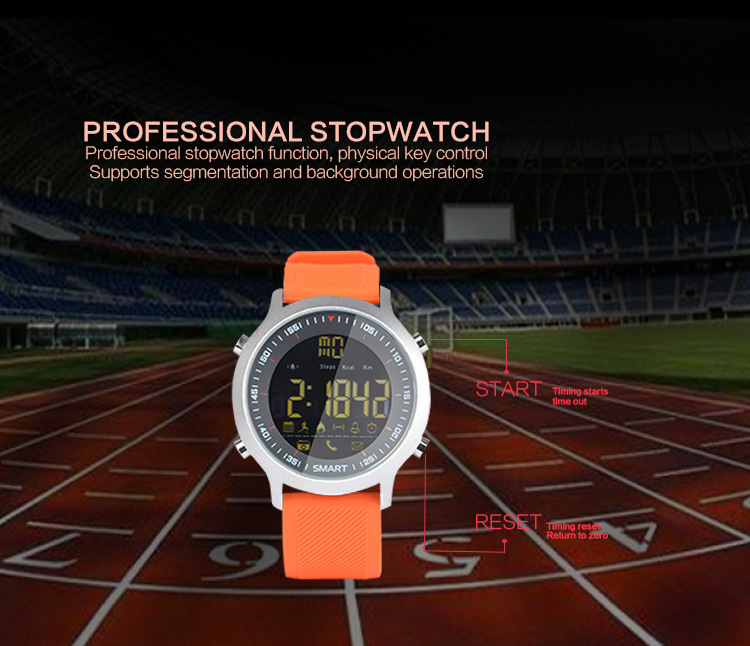 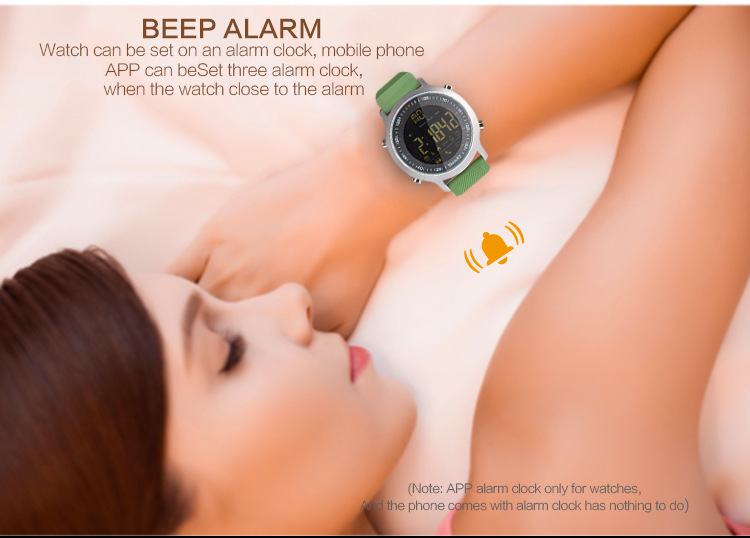 Support 24-hour monitor, Steps Counting, Burned Calory, Walking Distance, Cloud Service, Data Analysis, Target Management, Calendar Date, Low Reminder, Alarm clock, Stopwatch, Calculator, Photograph, Dial, Calling Remind, Clock, Anti-lost, SMS , Notification Bluetooth Sync, Time Sync, Professional stopwatch, Music Player, Remote camera and so on, all in one.